We salute members of our local and regional Fire, Police, EMS, and Public Safety departments! Must have downtube shifters, 32+ spokes per wheel, and one item of wool clothing. Sorry, helmet required! You will automatically be registered for all 3 events in the 3-event 2019 Tour of Colorado Gravel Series. Full Event Distance only. Military ID required. We will contact you to determine what distance you prefer. 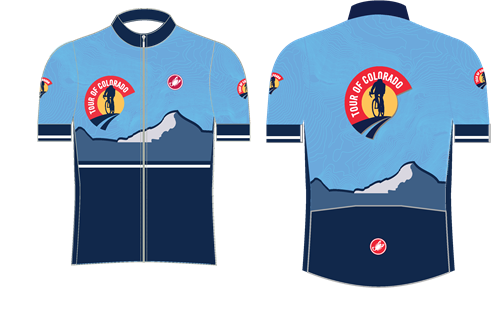 2019 Tour of Colorado Jersey by Castelli. PRE-ORDER ONLY. Orders will be included [+more] in race packets on race day. Please select shipping if you would like the order shipped to you. 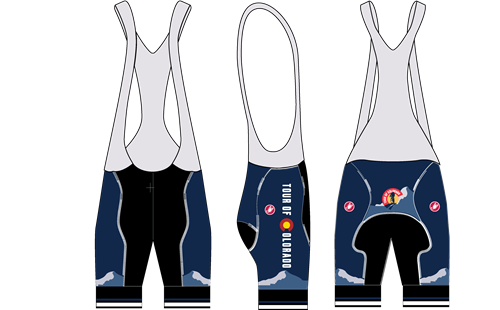 2019 Bib Shorts by Castelli PRE-ORDER ONLY. Orders will be included in race packets [+more] on race day. Please select shipping if you would like the order shipped to you.